Indeed, ‘Churchill was the last aristocrat to rule Britain. He possessed the unconquerable self-confidence of his caste background.’ This became critical for Churchill who withstood vicious and ferocious attacks upon him in the 1930s in standing up to Hitler when all those around him wished to appease. Therefore, I doubt Churchill would have even given a second thought to the latest Leftist idiot, Ross Greer MSP, who thinks Churchill was a white supremacist. This from a person who wanted the Scottish Youth Parliament to congratulate Kim Jong-un. No, Churchill – if he did give any thought to him – would have known exactly what he is: a sad communist with a massive chip on his shoulder. I would barely mention him at all only for the fact that there are sadly, quite a few young communists out there who would like to take us all back to Year Zero, no matter what the cost. To them this is the only way to settle the debt of the colonial past. Anyway, Andrew Roberts, the Roger and Martha Mertz Visiting Fellow at the Hoover Institution, brings keen insights into the life of Winston Churchill in his book. He explores this in this interview at the Hoover Institution, Uncommon Knowledge. Roberts was given access to extensive new material: transcripts of War Cabinet meetings, diaries, letters, and unpublished memoirs by Churchill’s contemporaries. The Royal Family permitted Roberts to read the detailed notes made by King George VI in his diary after his weekly meetings with Churchill during World War II. Roberts analyses Churchill’s policies and how they contributed to saving the world from the evils of Nazism. 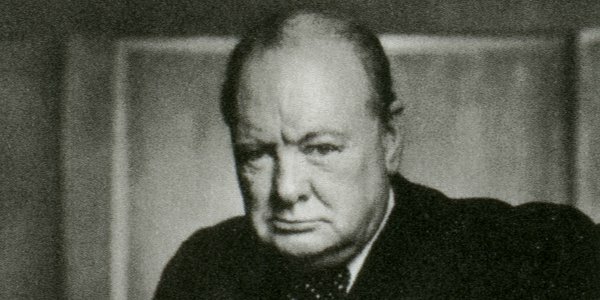 The Allied victory in WWII was in large part because of Churchill’s brilliant strategy as well as his determination never to give in and to defend the British Empire at all costs. Roberts talks about Churchill’s personality as an intensely emotional man who was known to burst into tears in Parliament. Roberts notes that Churchill’s long military career made him the ideal wartime prime minister. Churchill has much to teach us about the challenges leaders face today, and the fundamental values of courage, tenacity, leadership, and moral conviction. Winston Churchill: war hero, saviour of Britain and Western Civilisation.